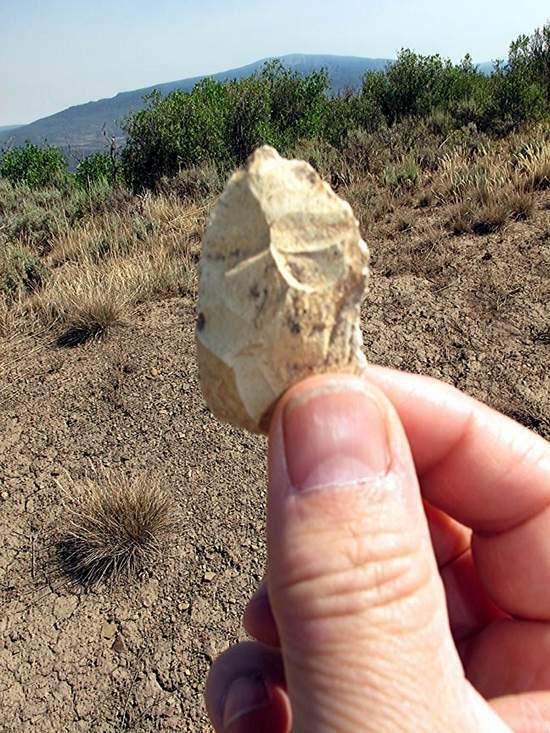 Stone tools and manufacturing debris that span thousands of years make a Pitkin County site worthy of protection, according to archaeological experts. A rural Pitkin County site where archaeological artifacts have spurred a land-use debate appears to contain remnants of stone tools and associated debris spanning more than 8,000 years of use, according to a consultant who viewed the site early this month. The Albuquerque, N.M.-based Archaeological Conservancy has drafted a management plan for the site that is now in the hands of the property's owners and Pitkin County staffers. Its recommendations regarding security at the site, access and accommodating research will be the subject of discussions with the landowners, according to Dale Will, county open space and trails director. Will enlisted the help of the conservancy, which offered to draft a plan at no cost. The county's Open Space and Trails program has not, as yet, been tabbed as an active participant in preservation of the site. Rather, property owners David Brown and Jody Anthes have asked county commissioners to declare the site constrained — undevelopable or severely restricted under the county's land-use code — and to issue two transferable development rights that they could sell to offset the money they invested in the parcel. Development rights on the site would be sterilized as part of the arrangement. Discussion of the proposal for transferable development rights has been postponed at least twice to allow for the drafting and review of the management plan. Commissioners are now scheduled to take potential action on the request on Sept. 12. An Aug. 2 site visit by representatives of the nonprofit Archaeological Conservancy and the state archaeologist of Colorado led both entities to push for its permanent protection. According to Chaz Evans, southwest field representative for the conservancy, the site represents more than 8,000 years of repeated use and occupation and appears to be undisturbed. The presence of tools and manufacturing debris made of non-local materials, coupled with the site's high-altitude setting and location, indicates “a very specialized land-use patterning that has not been adequately documented anywhere in Colorado,” he wrote in an Aug. 7 letter to Will. The site is archaeologically significant not just for Pitkin County but for the greater region, according to a letter to Will from Richard Wilshusen, state archaeologist. Kevin Black, assistant state archaeologist, visited the site on Wilshusen's behalf. The diversity of tool styles and materials, including rocks available locally and some from more distant sources, suggests the site was important for prehistoric inhabitants of the area over a span of many thousands of years, starting at least 6,000 years ago, Wilshusen wrote. He reiterated the state office's initial assertion that the property is eligible for listing on the National Register of Historic Places. “The rarity of well-preserved archaeological sites in the mountainous settings such as in Pitkin County makes them particularly valuable for understanding this very interesting, yet still not well-known, aspect of our state's prehistory,” Wilshusen wrote. State records indicate 18 other comparable sites in Pitkin County have been judged eligible for the National Register, according to Wilshusen, though many other less significant sites have been recorded in the county, Evans noted. The site under review is located on private property, off a gated road, but protecting it is a matter of concern. County commissioners, who also have paid a visit to the parcel, stressed their desire for a plan to preserve the artifacts as part of any land-use deal to come.